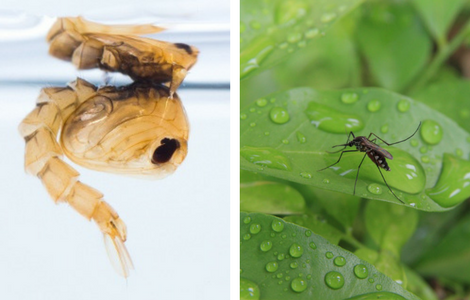 Understanding the different stages of the mosquitoes life cycle can help prevent and effectively eliminate populations before they become a problem. All mosquito species have four distinct stages to their life cycle; Egg, Larvae, Pupa, and Adult. There are over 300 species of mosquitoes in the world. 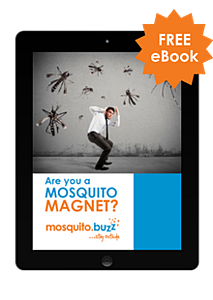 The most common and most dangerous, are the Culex mosquitoes. The Culex pipiens is the main carrier of the West Nile virus. 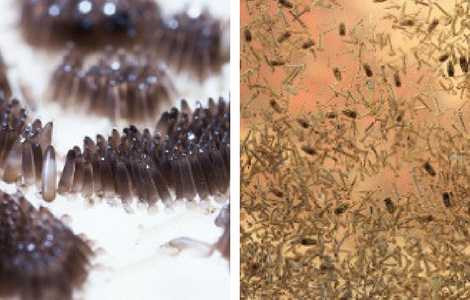 Female mosquitoes lay hundreds of eggs about every few days during their lifespan directly on or near water. Some eggs are laid in spots that will flood at a later date, surviving in dry conditions for months. Water is required in order for the eggs to hatch. Eggs hatch into larvae. After eggs hatch, larvae emerge. Larvae are referred to as “wigglers” because of how they appear when they swim. The length of time to hatch depends on water temperature, food, and type of mosquito. Larvae live in the water; molting several times while they feed on organic matter, and develop into the third stage of their life cycle called the Pupa. Larvae live close to the surface where they breathe through tubes. Larvae can be effectively controlled using products that poison them or block their breathing.